Hyundai is showcasing is the Hyundai Ioniq hybrid at the 2017 Dubai Motor Show. The Ioniq hybrid is the company’s first dedicated hybrid car and it debuted in January last year. 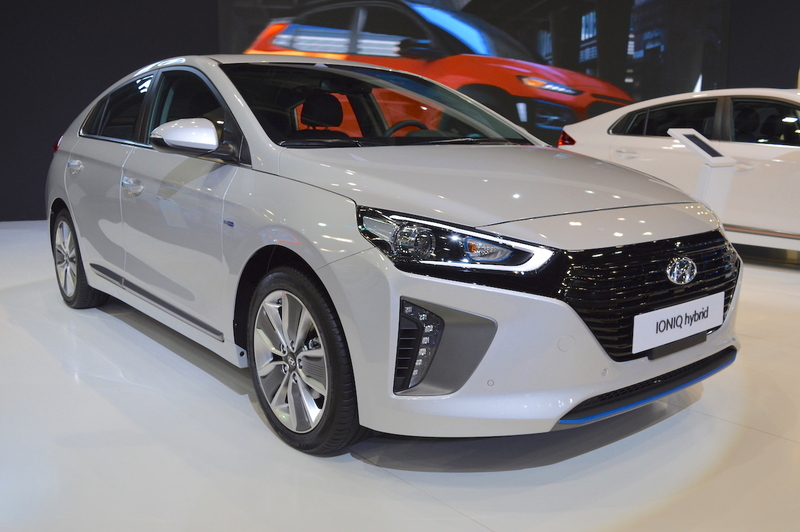 Hyundai has created the Hyundai Ioniq hybrid on the basis of a dedicated platform, which underpins even the Hyundai Ioniq plug-in and Hyundai Ioniq electric. 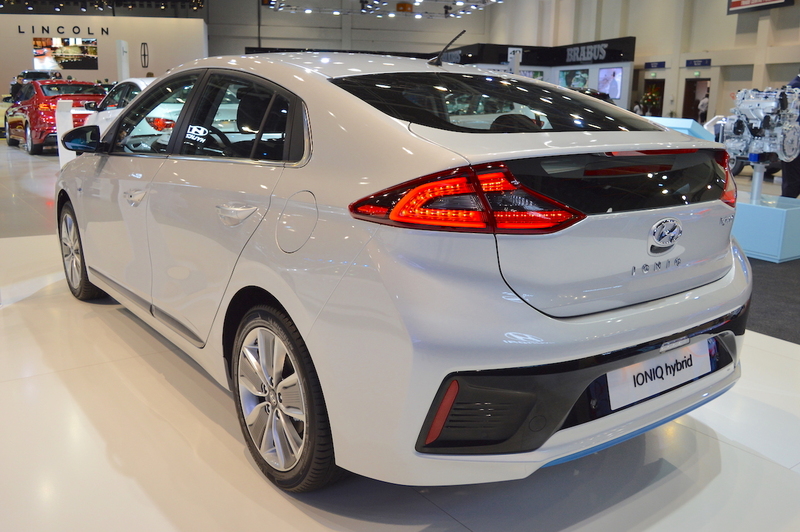 The Hyundai Ioniq is 4,470 mm long, 1,820 mm wide and 1,460 mm tall. It has a 2,700 mm wheelbase. The Hyundai Ioniq hybrid’s powertrain comprises a 1.6-litre GDi four-cylinder petrol engine and an electric motor. The combustion engine produces 105 PS at 5,700 rpm and 15.0 kgf.m (147.10 Nm) of torque at 4,000 Nm. The electric motor generates 43.5 PS and 170 Nm of torque. The Hyundai Ioniq hybrid has a small 1.56 kWh lithium-ion battery pack. The petrol engine and the electric motor together develop 141 PS and 265 Nm of torque. A 6-speed dual-clutch automatic transmission channels drive to the front wheels. The hybrid sedan has a combined fuel economy rating of 20.2 km/l (South Korea)/29.41 km/l (EU). On the outside, the Hyundai Ioniq hybrid features HID Bi-Xenon headlights with C-shaped LED DRLs, radiator grille with active air flaps, 17-inch alloy wheels, LED rear lights and rear spoiler with integrated LED brake light. Inside, Hyundai has equipped the frugal compact sedan with heated, ventilated and electrically adjustable driver’s seat with memory function, D-cut steering wheel, 7-inch driver information display, 8-inch touchscreen infotainment system with navigation, Apple CarPlay and Android Auto, wireless charging pad and Infinity high-definition sound system. Availability of features may vary depending on the market. Hyundai builds the complete Hyundai Ioniq range at the Ulsan plant in South Korea. The Hyundai Ioniq hybrid is now officially available in UAE.